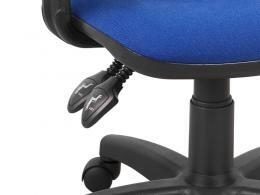 What is the purpose of the High Back Office Chair? 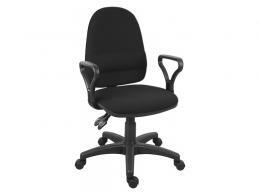 The High Back Office Chair is designed as a versatile solution for office chairs. Its twin levers allow for adjustment on two planes: the height of the seat and the angle of the back rest. This is aimed towards creating a high back office chair that is highly ergonomic and is able to respond to the differing body contours and personal preferences of its users. Its variability in design means it can be used as an office chair for employees and, without armrests, it can be a more comfortable alternative to traditional waiting-area seats for clients. This product is intended for use in any work environment, may it be in a corporate building office, a field office, or even in a home office. Its sleek design gives off a professional look that immediately turns any room into a place that says “serious work gets done here.” It can also be used as a waiting lounge chair. Its comfortable outline, especially its high back that provides increased lower back support, gives visual and functional luxury to its user. It conveys the value the company places on their ease and relaxation. 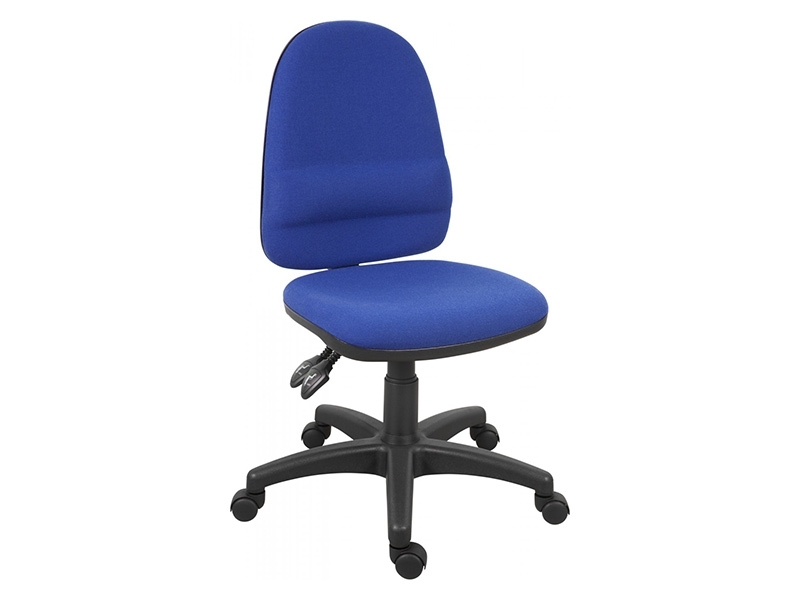 The High Back Office Chair is great for individuals or companies that put a premium on the comfort of their workers or clients. Its adjustable ergonomic design supports different employee and customer needs, and its overall appearance gives an air of sophistication that perfectly fits an office environment. This product comes in two designs: one with armrests and one without. Purchasers can also opt between two colour schemes: blue and black. The twin-lever function of this chair provides the star quality that makes it highly versatile. 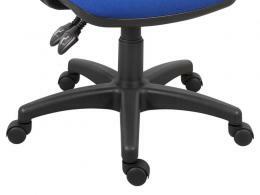 The seat can be adjusted according to the desired height using one lever, while its back can be adjusted between permanent contact or floating backrest mode. The tall profile of the backrest provides additional comfort, especially for sufferers of chronic back pain. 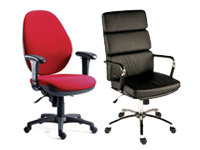 The Workplace Depot guarantees that orders the High Back - Twin Lever Office Chair can be delivered within 2-3 working days, has a hassle-free returns and exchange policy, and is bundled with a 1 year free warranty on all parts and labour. A whopping 15 million work days were lost due to back pain in 2013, according to the National Health Service. For employers and business owners, this means loss of productivity and income. But thankfully, this can be avoided by investing in proper office equipment that helps support weight properly and helps to maintain good posture while seated.